Rehearsing on the Appalachian dulcimer; photo by The Wild Service on Flickr (noncommercial use permitted with attribution / no derivative works). 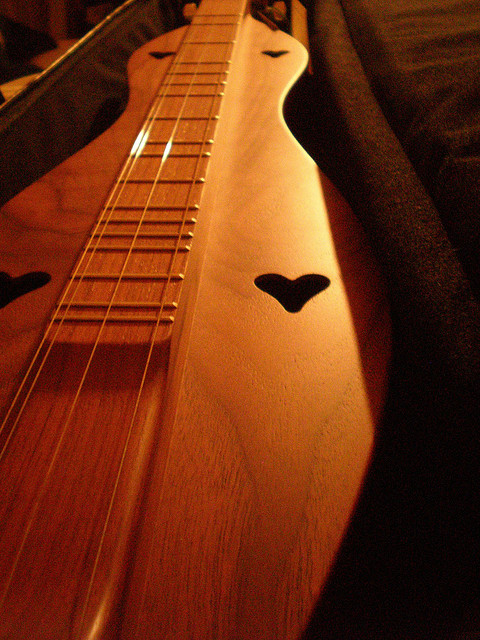 The Appalachian dulcimer was designated as the official state musical Instrument of Kentucky in 2001. Eastern Kentucky lies in the heart of the region known as Appalachia. Bluegrass music is an American grass roots music influenced by Irish, Scottish and English traditional music. Bluegrass was inspired by the music of immigrants from the British Isles (particularly the Scots-Irish immigrants in Appalachia), as well as jazz and blues. Blue Moon of Kentucky is the official state bluegrass song (bluegrass music is associated with the entire state of Kentucky, not just the bluegrass region). Appalachia is a geographic region in the eastern United States that stretches from southern New York state to northern Alabama, Mississippi, and Georgia. Although the Appalachian Mountains extend through New England and into Canada, this area is not included in the accepted geographical definition of "Appalachia." The Appalachian region is home to over 20 million people; living in mostly mountainous, often isolated areas. 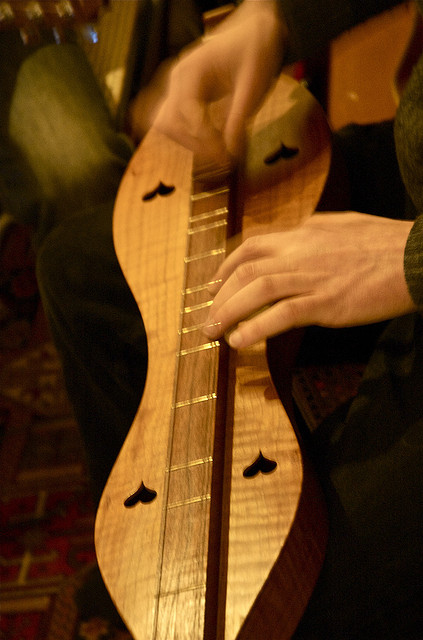 Appalachian dulcimer; photo by Andrew Purdam on Flickr (noncommercial use permitted with attribution / no derivative works). 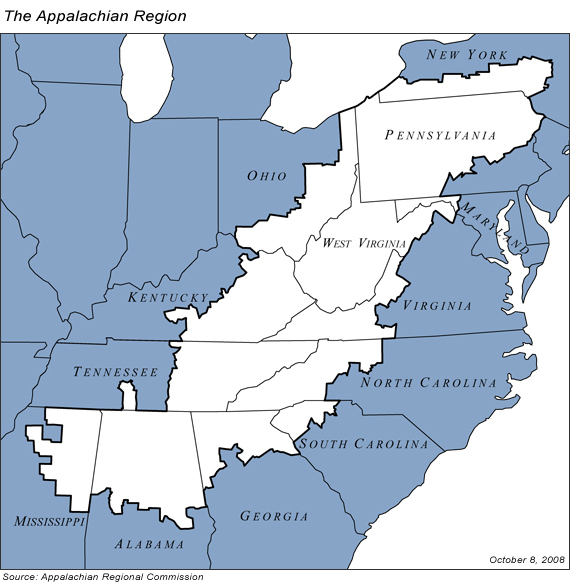 Appalachian region (public domain image on Wikipedia).